Super Mario Brick Cartridge Case #3DPrinting #3DThursday « Adafruit Industries – Makers, hackers, artists, designers and engineers! 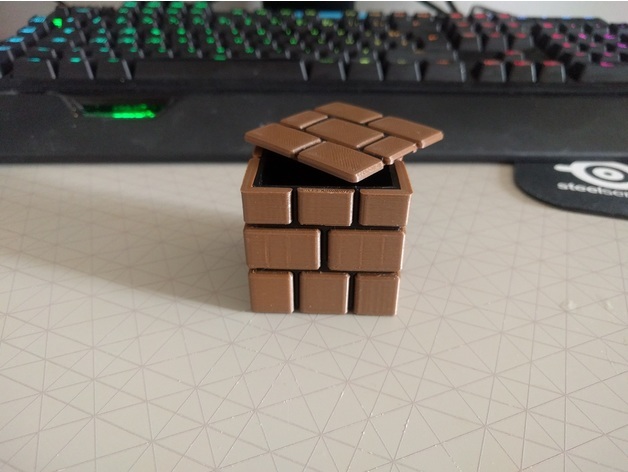 ethanfel shared this project on Thingiverse! Yet another remixe of the cartridge case. i had a lot of fun doing this one. It was quite hard to do properly with my actual level of skill. To keep the original design and colors, i’ve separated the inside and the outside decors. It made it a bit tricky to print since there is a lot of parts. The result was worth it.